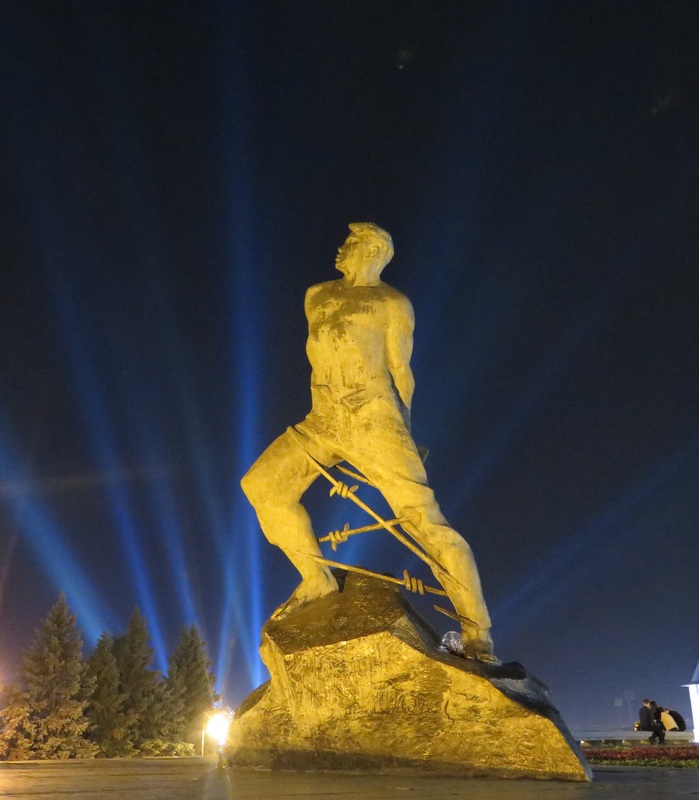 The monument to Mussa Jalil, at night. Mussa Jalil was a Tatar writer and poet who joined the army at the beginning of WWII. He was wounded and captured, but while in a concentration camp organized an underground movement that helped other prisoners escape. For this he was executed by guillotine in Berlin.